With thanks to Simpson Grierson for hosting this event. The Institution of Civil Engineers (ICE) Branch Auckland invites you to join us for a meeting with the Director General of the ICE, Nick Baveystock. Nick will provide an overview of the global infrastructure landscape; discussing what we must do as a sector to stay ahead of the evolving technologies and global challenges faced by all. The Institution of Civil Engineers (ICE) Branch Christchurch invites you to join us for a meeting with the Director General of the ICE, Nick Baveystock. Nick will provide an overview of the global infrastructure landscape; discussing what we must do as a sector to stay ahead of the evolving technologies and global challenges faced by all. Nick will also formally present the 2018 ICE People’s Choice award to the NCITR team. Apologies, due to circumstances beyond our control we have had to cancel this meeting. The Australasian Chapter of the International Geosynthetic Society (ACigs) is pleased to announce a seminar on geosynthetics in Auckland, New Zealand, by Professor Timothy Stark from the University of Illinois. 6. Bringing it all together for permanent Happiness uplift! 3. TEAM HAPPINESS. 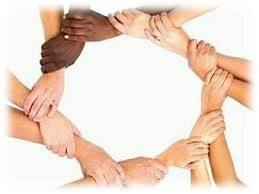 YOUR SUPERPOWERS - Values and Social Support Network. 4. THE BODY - Tiny tools for helping your body to help you to feel happy. Come and join us to discover the truth! Friday 16th November 2018 - 1. Fundamental Happiness. 2. Kindness and Gratitude. Friday 30th November 2018 - 3. Team Happiness. 4. The Body. Friday 14th December 2018 - 5. Moving Mind, Body and Energy. 6. Bringing it all together for permanent Happiness uplift! With thanks to Panuku Development Auckland for hosting this event. are adopting practices to ensure that their people are happier and more fulfilled. With thanks to Harrison Grierson for hosting this event. With thanks to Ara Institute of Canterbury for hosting this event. Designed to upskill Team and Project Leaders to help them create a collaborative culture in their workplace. Encouraging debate and developing creative ideas and practices; to grow in confidence transforming knowledge and inspiration into a winning performance. With thanks to NZ Transport Agency for hosting this event. This event has unfortunately been cancelled. We apologise for any inconvenience. Step by Step development of your ability to lead the design and delivery of a LC improvement initiative. Building on your Yellow Belt experience, you will become familiar with the DMAIC improvement cycle and suite of tools, (Define, Measure, Analyse, Improve, Control). Your assignment will involve developing your LC initiative on your project. *Your assignment ultimately builds towards your measured value improvement. With thanks to Aurecon for hosting this event. *Your assignment includes presenting to your team and implementation of one of the principles or tools. With thanks to Tonkin + Taylor for hosting this event. With thanks to Queenstown Lakes District Council for hosting this event. With thanks to Fulton Hogan for hosting this event. With thanks to Watercare for hosting this event. With thanks to Christchurch Airport for hosting this event. This is a facilitated group discussion with experienced Last Planner leaders expressing their views on the tools the work in the everyday environment and their issues and concerns. With thanks to for hosting this event. With thanks to Frequency for hosting this event. With thanks to RCP for hosting this event. With thanks to Auckland Transport for hosting this event. With thanks to NZTA for hosting this event. With thanks to Studio D4 for hosting this event. With thanks to Arrow International for hosting this event. With thanks to Opus International Consultants for hosting this event. With thanks to the Ministry of Education for hosting this event. WIth thanks to Southbase Construction for hosting this event. With thanks to Tonkin and Taylor for hosting this event. With thanks to NZ Strong for hosting this event. With thanks to Christchurch City Council for hosting this event. With thanks to Hawkins and Christchurch City Council for hosting this event. With thanks to Massey University for hosting this event. With thanks to NZTA and McConnell Dowell for hosting this event. With thanks to Cavell Leitch for hosting this event. With thanks to Hawkins for hosting this event. Join us for an end of year celebration with drinks, nibbles, networking, international and local case studies and the graduation of our latest cohort of diploma students. The tantilising images above are from our international case study, a Kiwi-designed and engineered underwater restaurant. Built in New Plymouth and shipped to the Maldives. Please note that this workshop is NOT FOR BEGINNERS, you MUST be involved in a current Last Planner implementation in order to participate. Take-up in New Zealand is now such that there is a need for more advanced help for those with experience who are gaining benefits but want to go deeper, to gain more consistent results or simply troubleshoot existing implementations of Last Planner. This one day workshop is designed with this in mind. We will help you to develop a deeper understanding of the Last Planner system so that you can troubleshot and improve your current programmes, coach your team and lead initiatives that take you over the 69% bar and up into the 85% area of performance. We have cancelled this meeting in light of the current situation in the region. We hope all our members and their families are safe and well. We are looking at opportunities to reschedule this meeting to the end of November or early December. Our first CCG meeting in Queenstown! Please note that this meeting is on THURSDAY 22 September (not our usual Wednesday). Lean Construction (LC) principles and tools are a proven route to reduced waste, customer excellence and increased margin. The industry operates on a global average of 30% ‘waste’. Where is this waste? How can you deliver faster, safer and better value projects? LC tools deliver swift results if you have engaged the people at the workface or ‘Gemba’ in a culture of wanting to do things better. To achieve this, you will need to learn how to Lead Lean Construction. Join us for an early start and a hot finger food breakfast. Building on the success of last year’s Users' Group Breakfast Briefings we are expanding these to cover New Zealand’s three main centres. Users' Group Members can attend these interactive Briefings for free. You will link with both UK practitioners, to hear the latest international insights, and local experience from New Zealand-based case studies from current projects. Alongside opportunities to meet and network with local practitioners there will be detailed question and answer sessions with the presenters and industry experts from the Steering Group. The sessions will also cover a look ahead at the Users’ Group and training programme and at legislative and procurement changes in the market changes in New Zealand and a review of new and update on the Contract forms and packages. There will also be a facilitated review discussion period. Helen Womersley, Programme Manager Property Projects – Department of Corrections. With thanks to Aurecon for hosting this meeting. 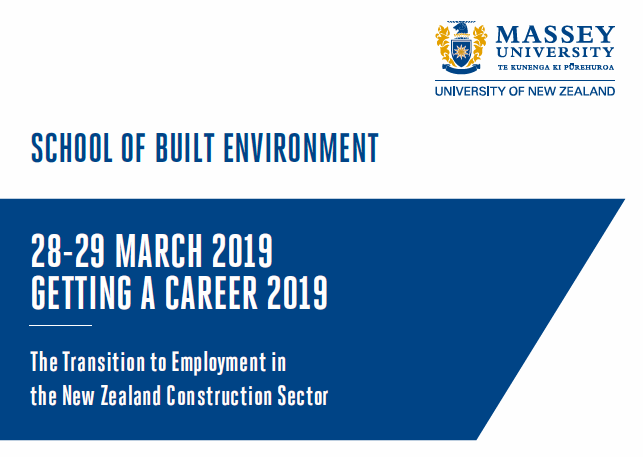 Eric Bishop, Project Director Building + Interiors, The Fletcher Construction Company and Ryan Chappell, Business Development Manager, WebFM Ltd.
Join us for a look at the latest developments at Massey University's Wellington Campus, including the Kuratini Marae Project. Wendy Jacob, Project Manager, Arrow International and Gordon Whyte, Facilities Director, Massey University will lead a tour prior to the Construction Clients' Group meeting. Meet at the Executive Seminar Suite, Entrance A, Wallace Street, WELLINGTON at 7.45 for an 8.00 start. Please bring your own hard hat and high-vis vest if you wish to take part in the site visit. The main CCG meeting will start at 9.00 in the Executive Seminar Suite, please register for the meeting and the site visit separately. Marc Palmer is a project management consultant with 30 years of experience across diverse industry sectors and disciplines, and in the last 20 years mostly under NEC contracts. Recently with Meridian Energy, he led a three year project to replace the system that controls a third of New Zealand’s electricity generation. Marc was also Procurement Manager for Meridian, when he was responsible for the placing of over of 100 NEC3 contracts, including the first ever use of the Supply Contract. In 1994 he started a 10 year period as a Project Manager with British Airports Authority on large civil and building projects, all using NEC2. This was the time of the influential Latham Report “Constructing the Team”, a catalyst for reform of the UK construction industry and which recommended the use of the “New Engineering Contract” as a means of improving project performance. This one day training module provides an outline for this well established contract model. It is suitable forClients, Consultants and the supply side who are looking for a sound understanding of the first principles and practices of delivering building and infrastructure works. It will cover the implementation and operation of the contract and the roles and responsibilities of the major players through practical New Zealand based examples. With thanks to Rider Levett Bucknall for hosting this meeting. * Exclusive to Constructing Excellence - take 10% off your ticket price using the code: MUD528. IT WOULD SEEM THAT THE ONLY THING THAT IS CERTAIN IN THE BUILDING AND CONSTRUCTION SECTOR IS CHANGE. The Building Amendment Act 2013 was passed by Parliament on 27 November 2013. It was the result of a comprehensive review into the Building Act 2004 and is part of a package of changes introduced to improve the building and construction sector to ensure that it delivers good quality, affordable homes and buildings and contributes to a prosperous economy. New and significant consumer protection measures under the Building Act came into effect on 1 January 2015. There have been changes to the Health and Safety at Work Act, there have been and will be further changes to the Commerce Act and Fair Trading Act and amendments to the Construction Contracts Act are likely to come into force later this year. With thanks to Inland Revenue for hosting this event. Spread across one day, these two workshops of 'ECC risk provisions' and ‘Managing ECC compensation events' offer excellent NEC learning and development opportunities for delegates. Though the particular focus is on the NEC3 Engineering and Construction Contract (ECC), much of what is covered is just as relevant for most other NEC3 contracts. NEC contracts have long raised the bar in terms of flexibility and the careful thought needed when dealing with risk provisions through the particular NEC3 contract chosen. From early on at the concept stages of any project, risk must be given careful thought. It can make or break the business case of a project. With particular focus on the ECC, and when writing the tender documents, the drafter has a number of matters concerning risk to properly deal with. Once the ECC contract is in place the parties set about reducing, avoiding or managing risk, as best they can, but they still need to be aware of how the contract provides for risk. Workshop sessions selected from key topics of interest within the NEC3 suite, drawn from extensive feedback and research within the NEC user base. Benefit from guidance delivered by renowned NEC3 specialists. Learn about the different risk provisions to be familiar with in ECC contracts. Understand the process of managing compensation events that may arise in ECC contracts. With thanks to Arrow International for hosting this meeting. With thanks to the Ministry of Justice for hosting this event. With thanks to Chapman Tripp for hosting this meeting. With thanks to Mott MacDonald for hosting this meeting. With thanks to Massey University for hosting this meeting. With thanks to Site Safe for hosting this event. We will advise a new date shortly. With thanks to AECOM for hosting this event. The module provides an introduction to the basic principles of Customer Relationship Management and their application to the management process within corporate enterprises. With thanks to Downer for hosting this event. With thanks to MBIE for hosting this event. With thanks to Chapman Tripp for hosting this event. When asked “name some procurement methods?” people often mistakenly respond with lump sum, target price, fixed cost etc. However these are actually payment methods. Payment methods are just one part in choosing the ‘correct’ procurement process. Most construction professionals don’t fully understand the correct way to approach procurement. It is a task that is traditionally done inconsistently and not best for project outcome. In our industry there is a lack of awareness that procurement is also a risk management process. Project procurement is not just a case of picking up your last contract that you used and adding to it! All too often we begin with picking a contract that was used on a previous project and then work out the rest from there! Odds are this approach is not going to give you the outcome you want. Introduce fundamental disciplines needed to recognise risk and its potential impacts and respond with rational management decisions. Recognise the collateral benefits of good risk management. With thanks to ASB for hosting this visit. Kym has extensive experience in both the government and infrastructure industries. He specialises in collaborative contracting on large infrastructure projects, where he helps project teams to develop and instil the partnering principles that drive successful project outcomes. Before founding BRS, he was the General Manager for Western Australia and South Australia at Parsons Brinckerhoff based in Subiaco WA, where he was responsible for transforming the culture and profitability of a $70 million dollar business. Kym currently works with a range of New Zealand clients including New Zealand Transport Agency (NZTA), Fletcher Construction, Tonkin and Taylor, Beca, Higgins, Parsons Brinckerhoff, McConnell Dowell and many other similar organisations in Australasia. High performance depends heavily on teams being united and working constructively. When teams break down, it is often due to the people aspects; communication breakdown, a lack of up front alignment and a failure to genuinely collaborate. Understanding how to do this, is critical to the success of being able to lead multi-disciplinary teams and multiple organisations of large projects and organisations. With thanks to Vector for hosting this meeting. 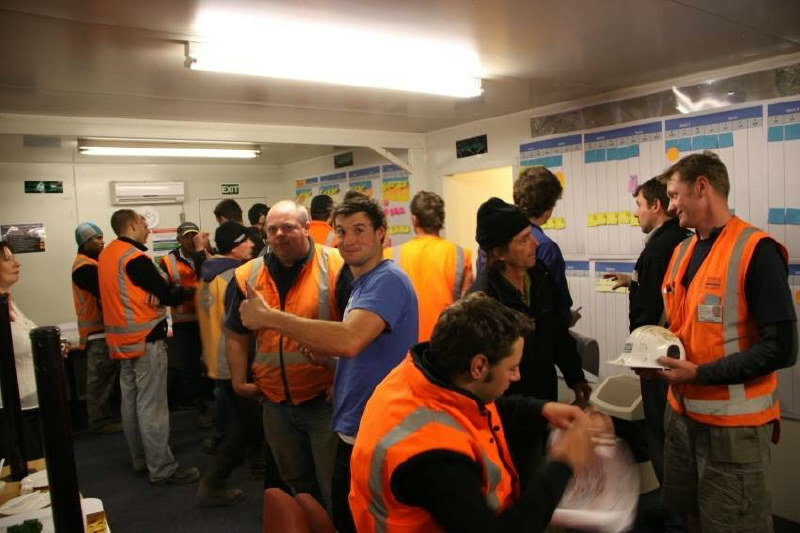 Site Safe Update, Johan Bosch, Site Safe NZ Inc.
With a strong Project Management background, Matt is a Management Consultant working in areas where he can add most value. His main focus is the tactical phase of project and service delivery and the incorporation of international best practice, where it applies. He works across all sectors of the construction industry and is a passionate advocate for building collaborative working environments, and has procured and/or advised on many NEC3 contracts in New Zealand and the UK, as well as PPP’s in the UK. The course is aimed at contractors, consultants and clients. Whilst a programme is usually produced by the contractor or consultant, clients need to be aware of what ought to be produced and can enhance their programming requirements in their requirements. No software is required for the interactive seminar, but it will be required for the post workshop case study and 1 on 1 feedback session. With thanks to Spiire for hosting this event. Many thanks to Aurecon for hosting this event. Many thanks to NZTA for hosting this event. Rob Giller, Ministry of Education - What does Education Infrastructure Service Do? Auckland Procurement Programme is a part of s Productivity Partnership. With it’s 20+ clients the Auckland Procurement Forum is the heart of the Programme, with a three to five year plan to drive for more efficient procurement and project delivery working practises. Tutor: Dr Neil Allan is a Visiting Lecturer, from University of Bath, who also teaches at the University of Canterbury. Use this link for an introduction to Dr Neil Allan’s “Boom Bust” Report that will be show cased during this module. Amanda is a leading expert in LEAN Construction and has played a key role in establishing Last Planner across New Zealand. This module provides a hands-on simulation of the LEAN tool Last Planner, following an introduction to the key principles of Lean Construction and Collaborative Continuous Improvement and their application to projects and organisations. Programmes are crashed, waste removed and projects delivered successfully within collaborative teams. Callum will The Waterview project team have been achieving significant cost savings through their application of LEAN thinking. Callum will speak on his experiences whilst leading this significant initiative in the Alliance. *Participants will receive an ACE Certificate of achievement on completion. **In addition, credits towards the Diploma of Managerial Excellence are achievable upon the submission of an assignment. This important event is spread over one full day and two part-days, beginning with an in-depth afternoon at one of Auckland's favourite harbour islands. A full-day with five international speakers and a number of national experts and the final morning will be a chance to get up close and personal with regional prefab projects of significance in Auckland. Many thanks to Ignite Architects for hosting this event. Many thanks to Christchurch City Council for hosting this event. Many thanks to the New Zealand Defence Force for hosting this event. Many thanks to NZ Strong for hosting this event. Many thanks to MBIE for hosting this event. This event is for decision makers and procurement leaders to influence the way we do business in Auckland. Many thanks to Simpson Grierson for hosting this event. The IECL’s highly acclaimed Organisational Coaching Level One is coming to Auckland, New Zealand in October 2013 and we invite you to join in. Level One represents the first of three stages in the IECL’s ICF Accredited Coach Training Program (ACTP). This is Australia’s most highly respected organisational coaching qualification and conforms to the rigorous standards set by the International Coach Federation, so is recognised throughout the world. We have now certified more than 3,000 organisational coaches in Australia and Asia. Level One teaches you the essential foundational skills of an organisational coach, including the models and structures that make for high performance coaching sessions. You learn these coaching skills and tools in a practical and experiential way, building on the knowledge already in the room. Whether you are new to organisational coaching or already have some experience, you’ll benefit from this rigorous foundational coaching training program. Backing up all the IECL’s coach training is a strong and active Community of Practice which is accessible online. Many thanks to Site Safe for hosting this event. Dr Ballard has been a member of the construction engineering and management programme faculty at UC Berkeley since 1989 and is now Research Director of UC Berkeley's Project Production Systems Laboratory. Many thanks to SCIRT & MWH Global for hosting this event. Many thanks to Wellington City Council for hosting this event. Many thanks to NZ Defence for hosting this event. Many thanks to Vector for hosting this event. The Waterview project is New Zealand's largest civil engineering project. Successfully managing this poses a huge challenge. 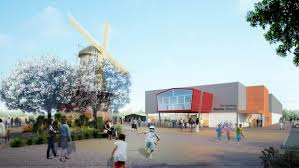 Peter Norfolk, civil design engineer for the Well-Connected Alliance, will present an overview of the project management practices being utilised on the Waterview project and, in particular, the aspects that are proving to be key to its success. Peter is a professional engineer with more than 20 year’s post-graduate experience in civil and geotechnical engineering. He has worked both internationally, primarily in South-East Asia and China where he spent 13 years, as well as in New Zealand. He is currently appointed as the Civil Design Manager for the Well-Connected Alliance delivering the Waterview Connection Tunnel project. Tutor: Dr Neil Allan is a Visiting Lecturer, University of Bath and also teaches at the University of Canterbury. Many thanks to KiwiRail for hosting this event. Tutors: Tim Munro, Managing Consultant, Infracure Ltd. Many thanks to Chapman Tripp for hosting this event. Launch Presentation of the CCG National Benchmarking Programme and 2011 Data Set. Many thanks to BCITO for hosting this event. Special thanks to the Building and Construction Productivity Partnership for supporting this event. Tutor: Derek Salkeld, Director, DS+A Ltd.
Tutor: Tim Munro, Managing Consultant, Infracure Ltd.
Industry Leader Guest Lecture: Connal Townsend, Chief Executive, Property Council New Zealand. Many thanks to Arrow International for hosting this event. Many thanks to SiteSafe for hosting this event. Many thanks to SKM for hosting this event. Many thanks to Vector Ltd for hosting this event. Tutor: Saranya Tarrant, independent training consultant. BRANZ has extended this invitation as thIs seminar may be of interest to the members of the Construction Client’s Group. This week saw the launch the Aotea Square Rail Station BEIM Pilot Study as part of our Workstream 3. The Pilot provides the first NZ single hub model spanning a city block wide with co-ordinated infrastructure knowledge within the Auckland CBD – Working with the design team, AT and adjacent stakeholders and infrastructure owners the Pilot looks to establish and quantify for Clients both the benefits and the costs that could come from the BEIM model for Auckland clients and the wider industry. The output of the Pilot, which will be discussed at the Forum, will be a study looking at the potential benefits or otherwise and any recommendations for further development. March saw the first meeting of the Forum and the publication of the Auckland Pipeline Report No.1. It has provided the supply side with the first co-ordinated three year forward spending profile. This high level review allows business to make better long term planning decisions. Since then Workstream 1 has been working with international specialists Rider Levett Bucknall (RLB), project managers RCP, Westpac and Statistics New Zealand to launch Report No.2. Working together they are providing an improved depth and range of report information. This increased usability for industry now will include detail and information for tier 2 specialists and major/specialist sub-contractors. Many thanks to the Ministry of Economic Development & Dept of Labour for hosting this event. Many thanks to Babbage for hosting this event. In the 2nd CCG annual members event, explore the experiences and learnings from recent disasters that have affected New Zealand. We are currently combining the outputs from both the Auckland and Wellington sessions to create the next piece of guidance from the CCG for Procurement. Theme: Why are clients turning to BIM to improve their value from construction? Theme: "To Collaborate or not to Collaborate - that is the question!" Theme: The Role of the Consultant in conjunction with the Client & Contractor in the New Zealand Construction Industry. Who adds the value? Who gets in the way? Theme: A Sustainable Industry – What changes are clients and the industry going to have to make to ensure a sustainable industry delivering sustainable products? Theme: What makes Partnering/Alliancing Successful?